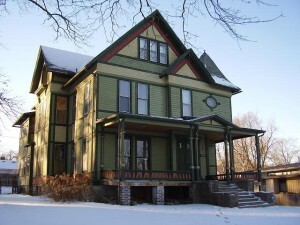 The Des Moines Rehabbers Club mission is to promote neighborhood revitalization and restoration of Des Moines’ unique building stock by informing, educating, inspiring, and supporting each other in all phases of home renovation and maintenance. Anyone with an appreciation for renovation and restoration of old buildings may join the Des Moines Rehabbers Club and attend monthly meetings or participate in the e-mail group! All you need is an interest in responsible stewardship of Des Moines’ unique buildings. We are here to provide support and encouragement for people who are undertaking renovation projects from repairing trim or replacing a toilet seat all the way through a gut renovation or full restoration project.